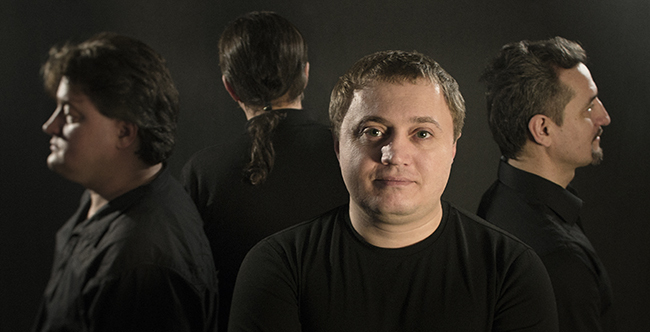 Anatol Stefanet is musician, composer, the Honored Artist of Moldova Republic, The member of Romanian Filmmakers Union and Art director of Ethno-jazz Festival in Moldova. He is leader and the author of music of Trigon group and Stefanet folk band, composer of music for drama play “Metamorphoses” (Satiricus theater, Chisinau), and films Still Center by Carina Tautu ( Romania/USA, 2005), “Lupii si Zeii” by Sandu Vasilache (Moldova Film, 2009) , Nunta in Basarabia by Napoleon Helmis ( Romania/Moldova, 2010). Known as a virtuoso of the viola, he was a special guest of International Viola Congress 2001 in New Zealand, Wellington. As a leader of folk orchestra he recorded 4 CDs in France and Estonia. One of his solo CDs "Anatol Stefanet - bratsch solo" was marked by French press by "SHOCK in Musique du Monde" in 1999, 2002, 2006 years. With Trigon group edited 8 CDs in France, Germany, Russia, Rumania, Moldova, Belgium, Greece. 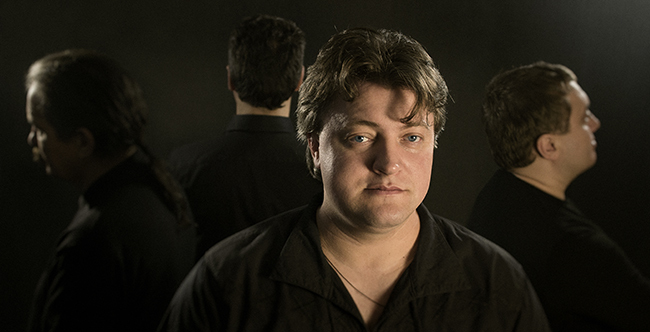 He was a member of Okay Temiz "Black Sea Orchestra" named by the press "all star band" (Virtual Womex) and played in Berlin Experimenti orchestra conducted by Bardo Henning and Sea Zone trio (Enver Izmailov, Anatol Stefanet, Vali Boghean). Vali Boghean - saxophone, trumpet, tilinca, flute, kaval, vocal. Multiinstrumentalist Vali Boghean is the winner of international competitions in Moldova and Rumania, where he was awarded as the best instrumentalist at concourses: "Galbena Gutuie", "Lautarii Moldovei","Maria Dragan", "Malurile Dunarii ", "Maria Tanase" festivals. 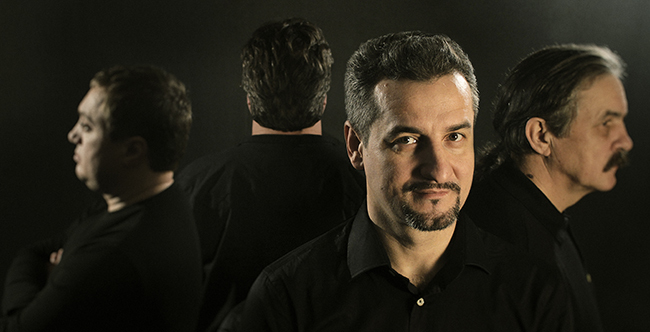 Dorel Burlacu is musician, composer, the Honored Artist of Moldova Republic. His professional career started in 1993, after graduation of Music academy (Faculty of jazz piano and orchestra conductor). In 1997 - 1999 he was conductor and pianist of the international orchestra, conducting Polish jazz group "CORONA". He is one of the founders of the projects: funky and afro Cuban music "Baila conmigo". Collaborated with Rock`n`Roll groups "Cuibul" and "The Snails" and jazz groups "Select-X", "UNIVOX" and with the German jazz musicians Hans-Gunther Adam and Stevie Woods, he toured in Holland, Germany, Russia and Ukraine performing at festivals, competitions, telecast, and session. He is author of music for his projects Dorel Burlacu & www.funky.md, Dorel Burlacu & www.latin.md and music for Drama play "Cabaret Jacksonville" (Luceafarul theater – Chisinau) . 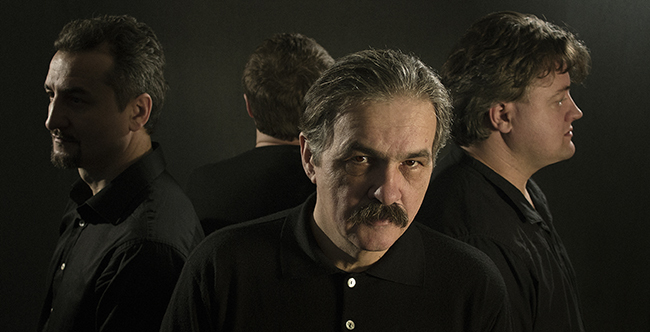 Gari Tverdohleb is the best Moldavian drummer, which played in numerous Rock and Jazz projects and groups. Gari is the master of all percussion instruments, a brilliant and original musician, possessing a flawless rhythm, the ability to outline the most refined nuances and to create a dense and intricate music. He is a sensitive accompanist with a delicate touch, but can build up a storm when it is necessary.